This week we headed back to school for our 8th year! WOW, 8 years guys! I remember the LCDR and I decided to homeschool our girls. Since then we have added two children, McKenzie and Micah, to our Academy and have graduated Marie. Once again I am going to do my best and try to document our school weeks on the blog. Instead of writing on Fridays, I plan to link up on Saturdays. Fridays are still incredibly busy days with school and sports and honestly I am just plain tired by the end of the week to write. 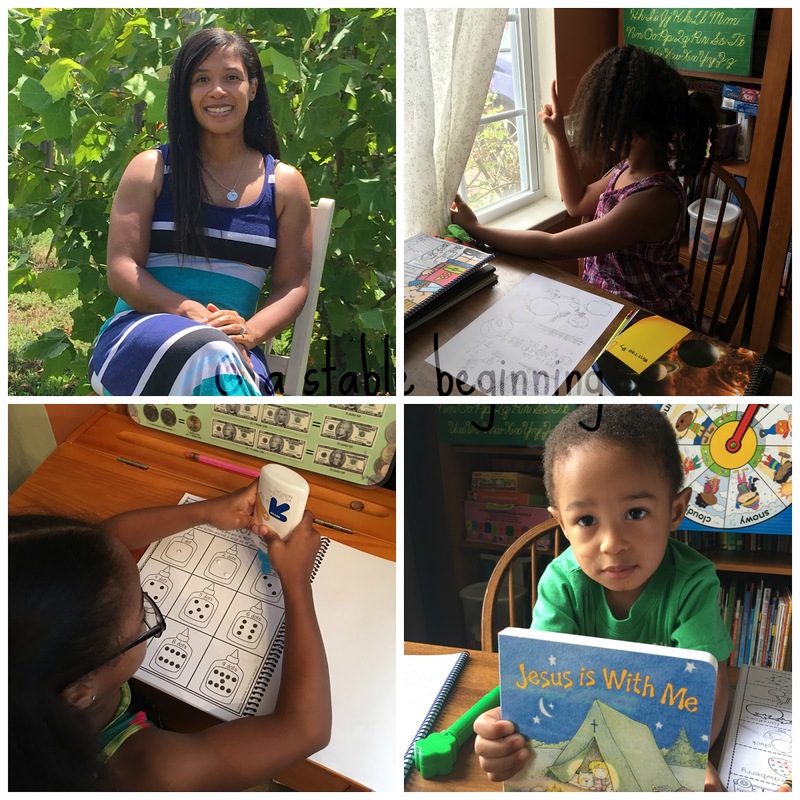 This year we have a 10th, 8th, 4th, 1st, and a nursery / preschool prep students. We have busy days but there is so much learning happening every day both inside and out of the classroom. It's a bit challenging in August since my gymnasts are still on summer schedule, but we are making the best of it and getting our work done. We did our traditional back to school photos. Only McKenzie and Micah would hold the signs I printed from Pinterest. Mikayla actually woke up Monday morning and asked to switch to five days instead of four. All on her own without any input from me. She has definitely switched over into the Logic stage and is really starting to take interest in her education. This is huge, guys! She was one of my reluctant learners and there were many tears on both my end and hers the last two years. I am so glad that she is interested in learning and completing her work. Keep it up Mikayla and the sky's the limit! 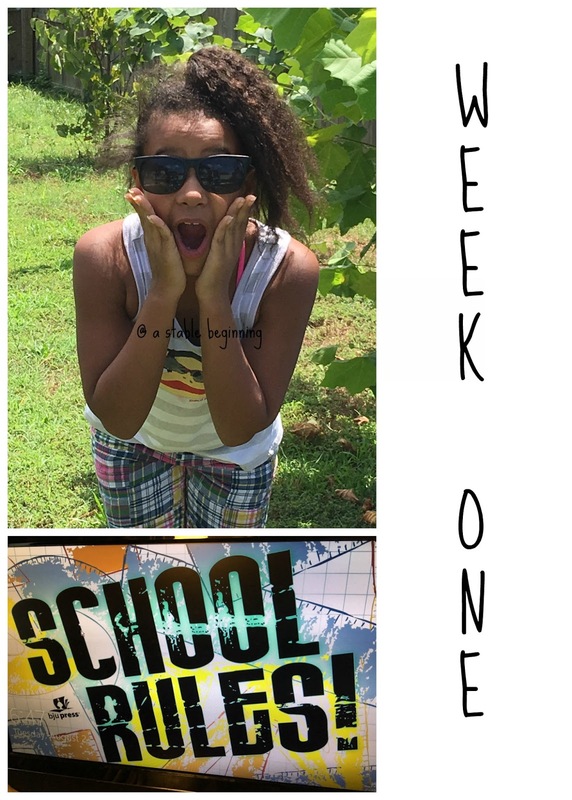 Madison had a great week of school. She has really enjoyed studying Chemistry and Home Ec this year. This week she made a Tropical Smoothie with coconut milk. It was a little too coconutty for me but she and her sisters and brother liked it. In Chemistry she is plugging along with conversions. Once again we are using Red Wagon Tutorials and their Chemistry Workbook. I love the throughness of the program. In the past we used their Flash drive program, so this is our first time using the workbook option. Next year, she is already enrolled into the Live Physics class. Madison and Mikayla, my high and middle schoolers, are doing school 5 days a week. Montana, McKenzie, and Micah are only schooling 4 days a week, Tuesday through Friday. This schedule works so well for us right now. 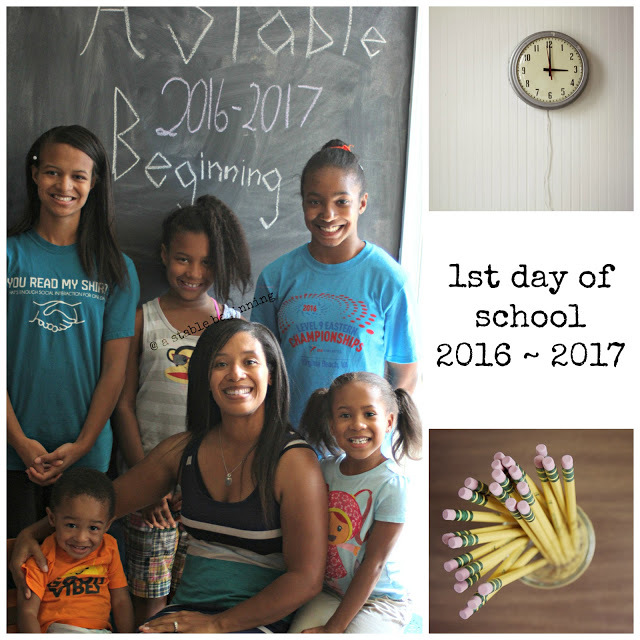 On Monday I use the time for appointments, errands, and to prep for the school week for them. I also get to focus on Madison and Mikayla's workload. This week we only completed a few subjects as we got back into our groove. It differed for each child what subjects they completed this week, but I hope to add in one extra subject for all this week. Next week we will be prepping for our upcoming trip to the beach. It will be a much needed break and we are all looking forward to it. Marie is working hard at both of her jobs at Burger King during the week and a local family restaurant on the weekends. She doesn't necessarily need to work at BK, but she is enjoying the experience. I personally think the managers take advantage of her hard work ethic by having her stay late and letting her off after her shift, but she is learning to speak up for herself. Next week is her last week working at both jobs because we will be taking her back to school at the end of the month. Wow, summer for her went by quickly! She is eager to get back to studying though. She is especially excited about her new roommate and her sewing class. That's our week in a nutshell. We are all so excited for the Olympics that began last night. I like to watch all the sports, but we are all excited for the Gymnastics competition. Do you have a favorite Olympic sport?